Better late than never eh? If you're still trying to nail the last few questions in our quiz published in our Christmas bumper print edition we can finally put you out of your misery. The correct answers are in bold. 1. Which of these 2015 motorcycles is claimed to produce exactly 100bhp? 2. Which of these iconic Italian motorcycles did Massimo Tamburini NOT design? 3. Which of these cars and bikes was produced first? 4. I’m a 175bhp V4 with sophisticated electronics and Brembo Monobloc calipers. What’s the name on my tank? 5. Which of the following is NOT a genuine Harley-Davidson model name? 6. We all know Princes William and Harry are into bikes, but their grandma, Queen Elizabeth II, was also famously pictured riding a motorcycle during WW2 when, as Princess Elizabeth, she joined the ATS and worked as a mechanic. But what make of bike was she pictured riding? 7. 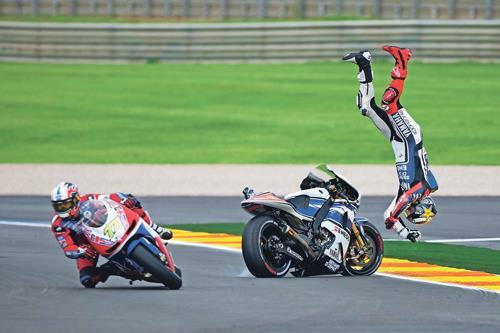 Yamaha’s R1 has only won the world superbike championship once. Who was the rider? 9. Honda’s forthcoming, new, revived Africa Twin adventure bike is powered by a 998cc parallel twin. But what was the engine configuration of the original 1980s production model? 10. Triumph are rumoured to be building a new 800cc Daytona sports bike, to join the current 675. But which of these capacities has NEVER been used by an official Triumph Daytona? 11. Which British motorcycle manufacturer was visited by Chancellor George Osbourne and featured on BBC news at the end of July? 12. Which historic British motorcycle brand was once based in Redditch? 14. We all remember Jon and Ponch in TV’s CHiPs, but which brand of motorcycle does the California Highway Patrol chiefly use today? 16. Defunct German marque DKW was the world’s largest motorcycle manufacturer in the 1920s and ‘30s. They came up with the simple two-stroke single that became the BSA Bantam (and others) and now is part of the VW group. But what did DKW stand for? 17. Which of the Japanese Big Four manufacturers also currently manufacturers (manned) helicopters? 18. These famous British bike brands are all currently being revived – but which is the only one to be actually assembled in Britain? 19. We all know that, of the Japanese Big Four, Honda began building motorcycles first in 1949 – but it’s not necessarily the oldest company. Which is, being founded to do something entirely different in 1897? 20. Which of the following manufacturers currently does NOT produce a three-wheeled machine? 21. Which of these bikes has won MCN’s Machine of the Year award the most times? 22. Which of following (minor) celebs has been an MCN babe? 24. 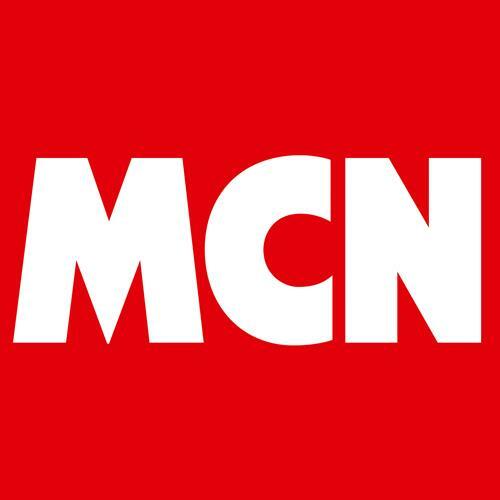 This MCN logo is from which period? 25. What year did 1970s/80s MCN rival Motor Cycle Weekly close? 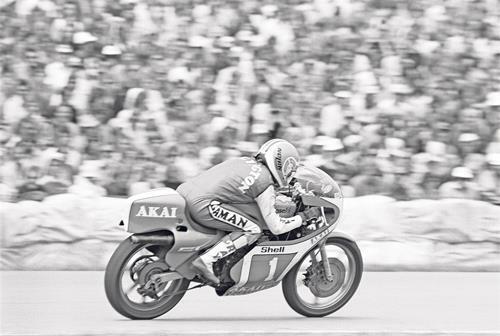 26. Who was the very first MCN Man of the Year? 27. Which of the following bikes has NOT starred in Tom Cruise’s series of Mission: Impossible movies? 28. Husqvarnas are now built in which country? 29. 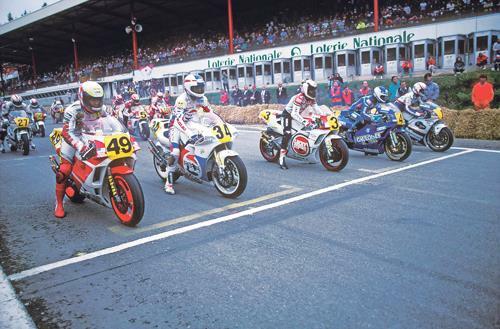 Which is the nearest city to Circuit Paul Ricard, to which the historic Bol d’Or 24-hr race returns this year? 30. What’s the first name of Lord March, owner of the Goodwood Estate where the Festival of Speed takes place? 31. Which of these has NOT been a home to Norton motorcycles? 32. Which historic British motorcycle brand had its factory in Cleckheaton, West Yorkshire, just up the road from the well known dealer Padgetts? 33. Renowned South African motorcycle designer Pierre Terblanche has NOT worked for which of the following manufacturers? 35. When did Silverstone first host the British Motorcycle GP? 36. Which was the first four-stroke machine of the modern era to win the world motocross championship? 37. What year was the first Goodwood Festival of Speed held? 38. A 675R Daytona ridden by Gary Johnson in the 2014 Supersport race famously gave Triumph its first TT win since Bruce Anstey won aboard a Valmoto Daytona 600. But in which year? 39. Jeremy McWilliams famously set the last MotoGP two-stroke pole position aboard the Proton triple in 2002, but at which track? 40. John Bloor’s first all-new, Hinckley-built Triumphs were first displayed at the Cologne Show in what year? 41. 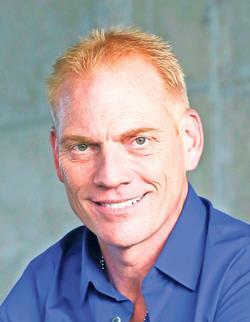 Ride-by-wire is now the norm, especially for performance machines. But which was the first mass-produced bike with the system? 42. We all know John McGuinness was the first TT rider to record a lap of the Mountain circuit in excess of 130mph. But who was the first to do one in excess of 125mph? 43. In what year was Honda’s revolutionary CB750 unveiled at the Tokyo Show? 44. We’ve all heard of Evel Knievel, but who holds the current world record for the longest motorcycle jump? 45. Jonathan Rea won 14 races in 2015, which two racers have won more in a single season? 46. How many times was there an all British podium in 2015 WSB? 47. Which rider won a race at the first and last rounds of the 2015 season? 48. Which rider won the 2015 Dakar? 49. In 2015 Tai Woffinden became the first Englishman in 52 years to win two world individual speedway championships. Who was the last to achieve the feat? 50. At the 2015 Polish speedway Grand Prix, all 16 riders paid tribute to fellow racer Darcy Ward, who suffered serious spinal injuries this year. What did they do? 51. Who has been a BSB Showdown rider most frequently since its introduction? 52. Who was the only rider to not crash during the entire BSB season? 53. Which Aussie legend did Josh Brookes pay tribute to with a special helmet for testing and the opening round of the season? 54. Who is the most successful ever North West 200 rider? 55. What is John McGuinness’ new TT absolute lap record? 56. Who is the most successful TT rider never to have won a TT race? 57. Where did Michael Dunlop crash out of the 2015 Superbike TT? 58. Who has the most podiums in TT history? 60. What was Danny Kent’s average margin of victory for his six race wins? 62. Which race weekend had the most crashes of the 2015 season? 63. Valentino Rossi claimed his 200th career podium at which 2015 Grand Prix? 64. What was the 2015 Aprilia MotoGP bike called? 65. How many podiums did British riders have in all Grand Prix classes in 2015? 66. Since entering MotoGP in 2002 how many races have been won with Bridgestone tyres? 67. Who took the most pole positions in MotoGP this year? 68. The most recent British winner of the Moto3 or 125cc class at the British GP is Scott Redding in 2008. Who was the last one to do so before him? 69. Which of the following Brits has NOT been speedway world champion? 70. How many outdoor world trials championships did Dougie Lampkin win? 71. 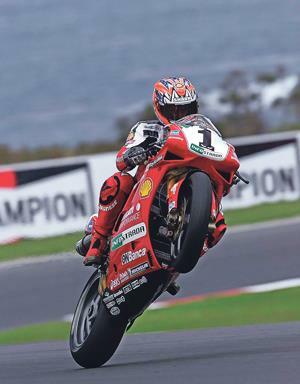 What year did Shakey Byrne win his first BSB title? 72. Who of the following has NEVER been BSB champ? 73. What machine/rider is the current motorcycle outright world land speed record holder? 74. Who was Britain’s most recent motocross world champion, across all classes? 75. We all know Honda has won the most solo road race GP world titles, with Yamaha second. But who’s fourth on the list? 76. After Carl Fogarty, which Brit has won the most WSB races? 80. Who, (both of them), where and when? 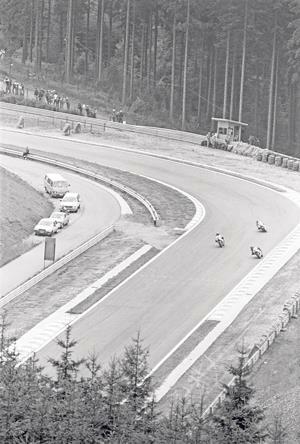 81. Who holds the lap record at this circuit? Hope you did as well as you'd hoped! Only 296 days until Christmas! Quiz: What's it going for?